Monse Vejar serves as the firm’s Legal Secretary. Her experience in the judicial field has provided her with much insight into various types of cases. She brings years of knowledge supporting legal teams, having worked with different types of case filings. 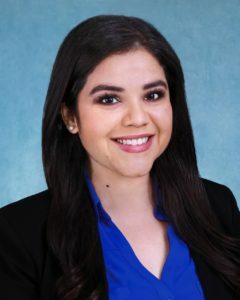 Monse previously served as a Deputy Clerk in the Maricopa County Clerk’s Office and as a Judicial Assistant for the Superior Court of Arizona in Maricopa County. On a personal note, Monse enjoys spending time with her family and friends, hiking, traveling, and attending live music events.